Casinos don’t cheat, at least not the reputable ones, because they don’t need to. Each casino game is designed to earn the house more than it loses in the long run, so it doesn’t really need to cheat. Of course, casinos want to maximize their profit, but given the strict supervision they are subjected to, why risk spoil a good thing they have going for some extra profit. It is illogical. However, this doesn’t mean some casinos won’t resort to certain legal tricks to improve their advantage. A well-known deceptive practice is to offer a game which at first glance plays one or two decks, while in reality it’s something quite different. A dealer in a hand-held game typically holds a deck or two in his hands and deals the cards. Sometimes, however, if you take a closer look you will notice a shuffle machine holding a pack of cards and the dealer is actually drawing one or two decks worth of cards and deals them. Upon their depletion, the dealer returns those back to the machine and draws again. This is no single or double-deck game, rather a disguised 4-deck game, or larger. And as we know, the higher the deck count is, the bigger the house advantage grows. 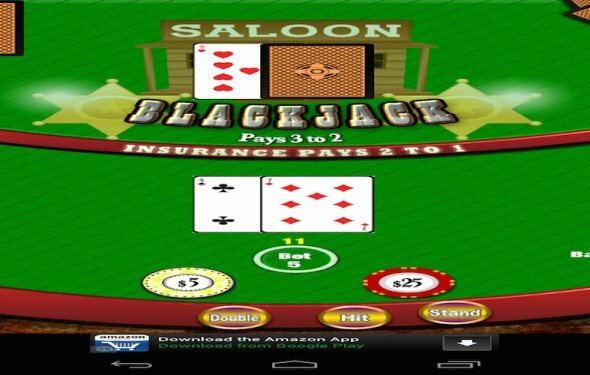 Some games offer 2-for-1 blackjack payoffs. How cool is that! Read again. It says 2 for 1, not 2 to 1. Two-for-one is just another way of saying even money. This means that upon winning the hand, you will collect back two times the original bet (if your bet was $100, you will receive a total of $200 – your original bet plus the won $100, in other words even money). This rule is most often used in blackjack machines, but can also be seen at some live tables..
For comparison, a 2:1 payoff (2 to 1) means that you will win two times your initial bet, plus the initial bet. Say you bet 0. If the payoff is 2-to-1, you will win 0 and take back your initial bet for a total of 0. This rule follows the same logic as the standard 3:2 payoff where you earn three dollars on top of every two dollars wagered. For example, betting $100 will earn you $150 plus the original bet of $100 for a total of $250. Thus, a 2:1 payoff is the best deal for the player, but casinos tend to employ it only as a promotion. Next comes the standard 3:2 payoff and after that come rules which are very disadvantageous to players, such as the 2 for 1 and 6:5 payoffs. The 6:5 payoff is another trick some casinos try to employ, relying on people who can’t do simple math. A 6:5 payoff pays the player six dollars for every $5 bet. For example, a $100 bet would earn you $120, instead of $150 with the standard 3:2 payoff. By playing a 6:5 payoff game, you are throwing away 60% of the bonus blackjack payoff traditional games offer you. At first glance this might not seem such a big deal, but in fact it is. A 6:5 payoff triples the house’s advantage over the player and is actually much worse than playing the most player-unfriendly 8-deck game with 3:2 blackjack payoff.